It’s time to pull out your favorite sweaters! 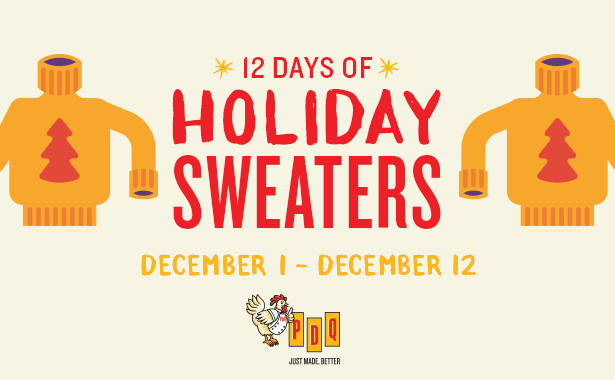 From December 1st through December 12th, PDQ Pinellas Park will be hosting “12 Days of Holiday Sweaters” to kick off the festive season. Every guest that visits this location wearing a holiday sweater will receive a Buy One, Get One Free Combo Meal coupon with their receipt and will also be entered for a chance to win a $25 PDQ Gift Card.